Planning to go out with friends, family, or your significant other for a special dinner and want to do it in a way to make it the most memorable of dates? Dinner dates are a lot of fun but why not spice it up for once and take it up a notch by hiring a limo at Limo Party Bus Milwaukee. Our professional drivers are always prompt and on time. They arrive right at your door and take you and your guests straight to your favorite restaurant or somewhere first for a quick drink. Not sure where to go? No problem! Our drivers and specialists know Milwaukee inside and out and can recommend a number of places that you and your guests are sure to love. Our professional, courteous and experienced drivers will pick you up so you can have a good time, have a few drinks, enjoy yourselves, and not have to worry about the drive at all. 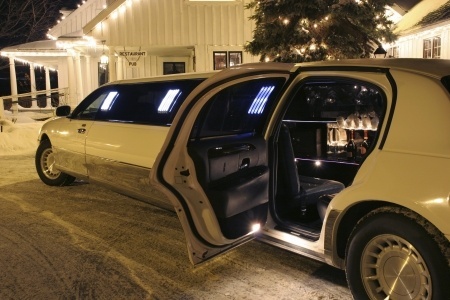 We also stock our limos with champagne, ice, soft drinks, water and much more so you can really enjoy ride. We will do our best to create the perfect environment for you by giving you control over the atmosphere. With adjustable interior lights and a top of the line sound system, you can listen to your favorite music to and from the destination of your choice. You're on this page because you been thinking about dining in style and you deserve it. You've been working hard it's time for you to take some action and book the ultimate limousine experience. We'll take you to your favorite restaurant and give you the time of your life to book that special night.